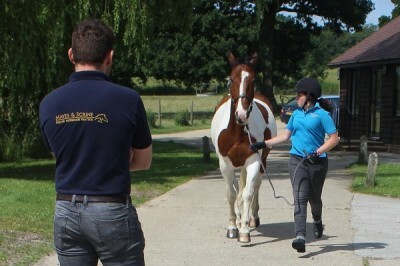 Lameness and poor performance investigations can be performed at Mayes and Scrine where we benefit from a purpose built trot up area for walking, trotting and flexion testing. 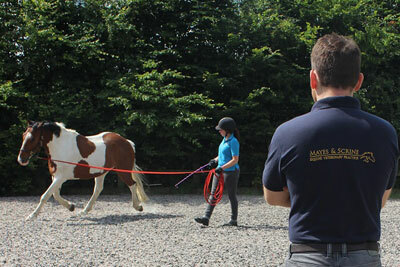 For more subtle lameness our ménage allows lunging on a hard or soft surface as well as assessment under saddle or driven. 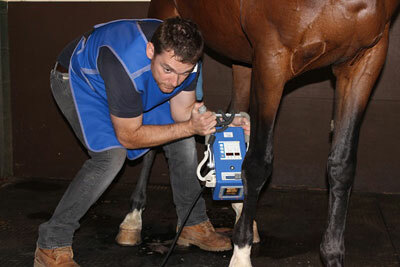 You or our experienced nurses can ride horses as part of lameness investigations if necessary. 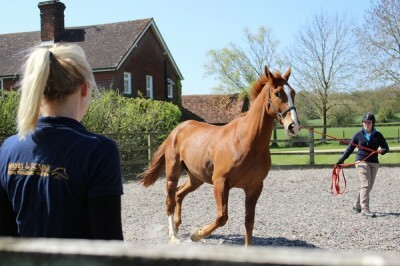 We do prefer to admit horses to the clinic for lameness investigation rather than carrying these out at yards, especially for more subtle “performance level” cases, as our facilities usually allow a more accurate and safer diagnosis. 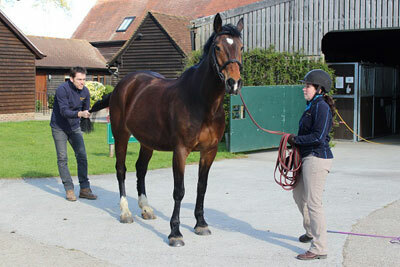 Normally the horse will have been assessed at the yard first before an appointment for investigation is made. If insured, we advise that you notify your insurance company of a likely claim prior to the horse being admitted for investigation. Should you have any queries on insurance cover for lameness investigation, please contact the office, or the veterinary surgeon in charge of the case. Once admitted, your horse will be reassessed for stance, muscle symmetry and palpable abnormalities before going on to the dynamic phase of the investigation. Once the gait has been fully assessed, including riding/driving if necessary, a sequence of nerve blocks will be performed, and the gait reassessed after each one. These nerve blocks are likely to include blocks into joints or other structures such as tendon sheaths where scrupulous sterility is required, hence the increased safety of carrying these out at the clinic in our treatment rooms. These nerve blocks allow us, in most cases, to establish the site of lameness and allow us to go ahead with imaging of the affected area. We have diagnostic ultrasound machines and state of the art digital radiography that allow us to reach a definitive diagnosis in the majority of cases. Should further, more advanced investigation be required we will discuss specific options, costs and referral at the time of investigation. Once a definitive diagnosis has been reached, we can discuss with you the options for treatment, their costs, and the prognosis. Treatment can often be carried out, or at least started, on the same day as the investigation. 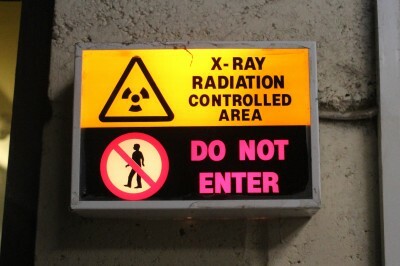 The Practice now boasts two state-of-the-art digital X-ray machines; one of which operates on a wireless system allowing for X-ray in the field, specifically in an emergency situation where power is not available. This equipment has revolutionized our approach to possible fractures or laminitis cases which cannot be transported, and increases the service we can provide to clients who do not have access to horse-transport. Diagnostic ultrasound allows us to image soft tissues by measuring and recording the echo of sound directed into that tissue. 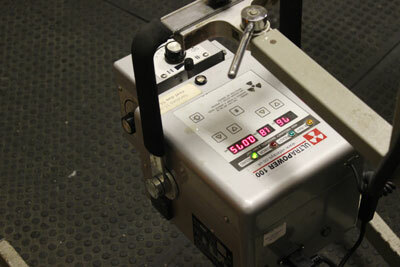 Different tissues echo sound in different ways allowing a tissue image to be built up on the ultrasound scanner screen. By comparing the image obtained with known normals, we can find areas of pathology and monitor changes in response to treatment. 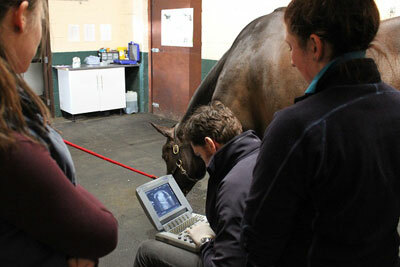 Diagnostic ultrasound is most commonly used to assess the reproductive tract in mares, and tendons and ligaments. However, there are many other uses including examining the abdomen and chest, assessing wounds for foreign bodies, assessing joints, evaluating muscles for damage and examining the eye. We can image structures up to 25cm beneath the skin. 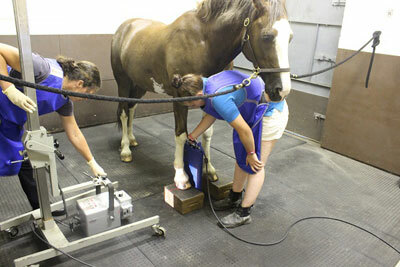 Shockwave therapy, full title “Extra-Corporeal Shockwave Therapy” is a now well established treatment modality for certain orthopaedic issues in the horse. Structures treated include ligaments, particularly the sacro-iliac, check, collateral and suspensory ligaments, tendons and muscles. These machines have been adapted from the “lithotripsy” machines which came in from Germany some years ago for treatment of kidney stones. Our shockwave machine is “focused” which means that we can fire heavy intensity sound waves as specifically as possible into the structure to be treated. The treatment has a pain-killing effect on the affected structure, helps break down scar tissue and can encourage new cells to migrate into the tissue for repair. The treatment regime usually involves three sessions of shock wave, each 10-14 days apart. In most cases, the patient will be sedated as the machine is quite loud and creates a strange sensation in the treated area. There are usually no (or very minimal) adverse after effects. In fact the treatment can afford profound immediate relief from a painful condition. Shockwave can also be used to increase the effectiveness of other treatments such as local steroid injections.